We are always looking for inspiring multidisciplinary people to lead a trip in a way that enables learning and working together to find solutions to the diverse facets that challenge the conservation of our waters. It might be marine or conservational scientific research. Educational or highlighting the lack of diversity in gender roles in STEM professions, explorations and sporting events. 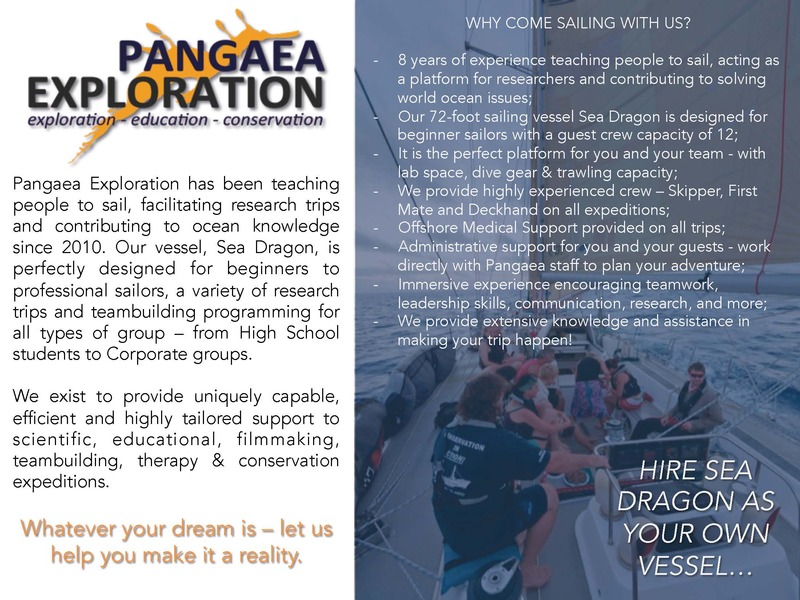 Whatever your discipline, we can help you share your vision,in a unique setting, aboard a livaboard sailing yacht and research vessel. 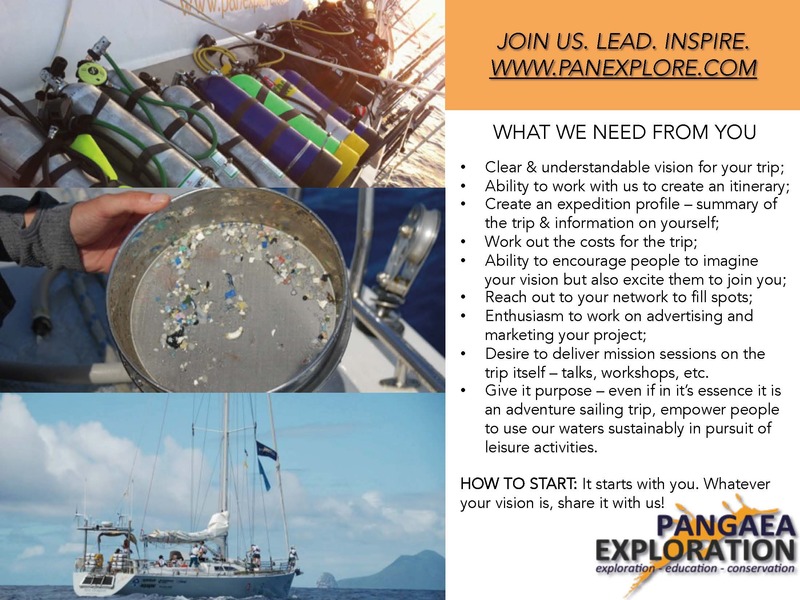 It starts with you, whatever that vision is; whether cleaning the Pacific Ocean of plastics, researching coral reefs, documenting the impact of invasive species on local ecosystems, or highlighting the link between plastic pollution and the effect it has on our health. Your vision might be to get involved in hurricane cleanups – the trawling and documenting waste collection for data analysis or simply the movement of much-needed aid. It could be bringing together all-female yacht crews or run a team building adventure sailing trip or trying your hand at sailing any one of our great oceans or simply racing a 72ft sailing yacht. It is your vision, and we will work tirelessly with you to help make it happen. Every vision needs a purpose, give it one, you will be surprised how many others there will be who share your vision, or one very similar to yours. Gathering like-minded supporters of your vision are what makes a successful and fulfilling expedition. Highlight your vision, through conferences, sponsorship, film, photography or educational talks. Empower people to learn about our oceans and sea, how to protect them, how to use our waters sustainably in pursuit of leisure activities. The ability to encourage people to imagine your vision but also excite them enough to join you. The ability to reach out to your network to fill spots on the trip. 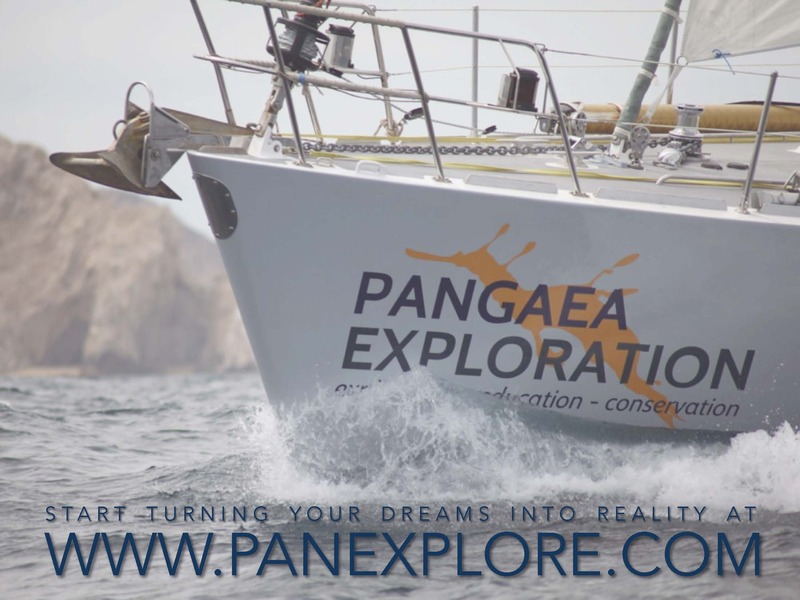 We provide highly experienced and qualified crew; 1 skipper, 1 mate, and a deckhand. We provide remote Medical offshore support. We provide administrative support for your trip and potential guests. We provide extensive knowledge and assistance in making your trip happen. If you have a specific location in mind, we will endeavor to accommodate it. 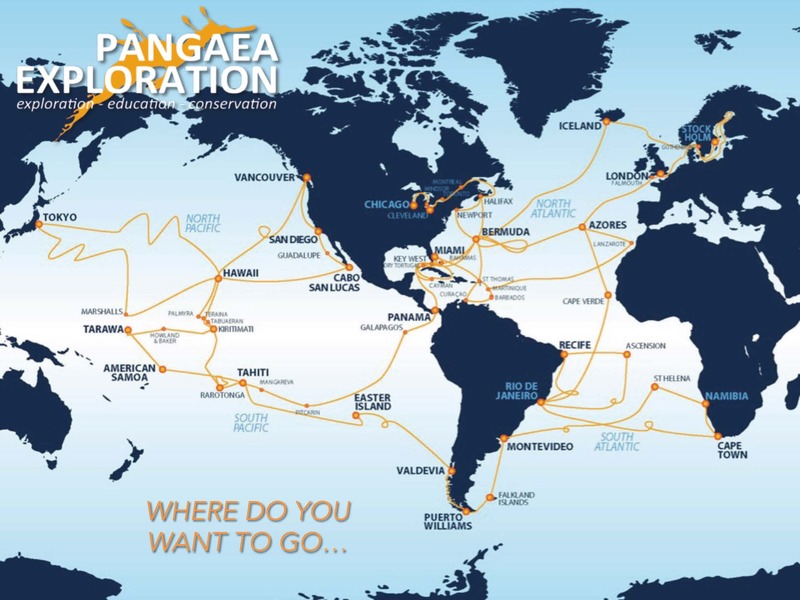 If not, you can see where the boat will be over the next year and take on any of the trips without a leader. 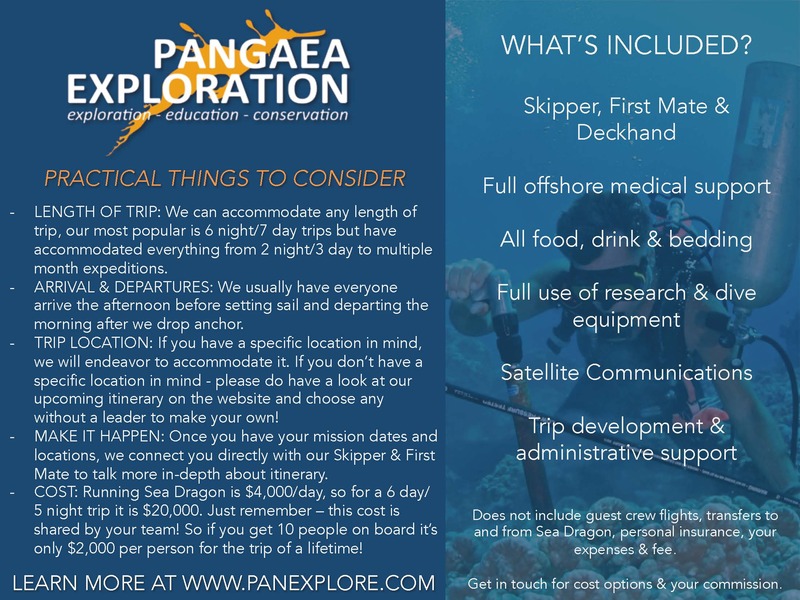 Once you have your mission dates and locations, we can connect you with our skipper and first mate to see what might work and to help initialize your trip. Then it’s just about filling those spots on the trip! Reach out to your networks to get the word out.You really need a full boat of 10 confirmed to make a trip work. Utilising advertising and editorial options, make finding like-minded people easier, as does use of social media networks. We will support you in all of this as much as possible. So $4000 per day, needs to be multiplied by the number of days, then include your fee (if adding one). This total; (cost per day+number of days+your fee) is then divided by 10 (based on 10 guest crew) for the cost per person. If you already have an idea as to the itinerary you want to keep.. that’s great, discuss the details with our Skipper and first mate, best times to do your sessions, activities, sail and have some leisure time. Once this is done, then they worry about all the details. 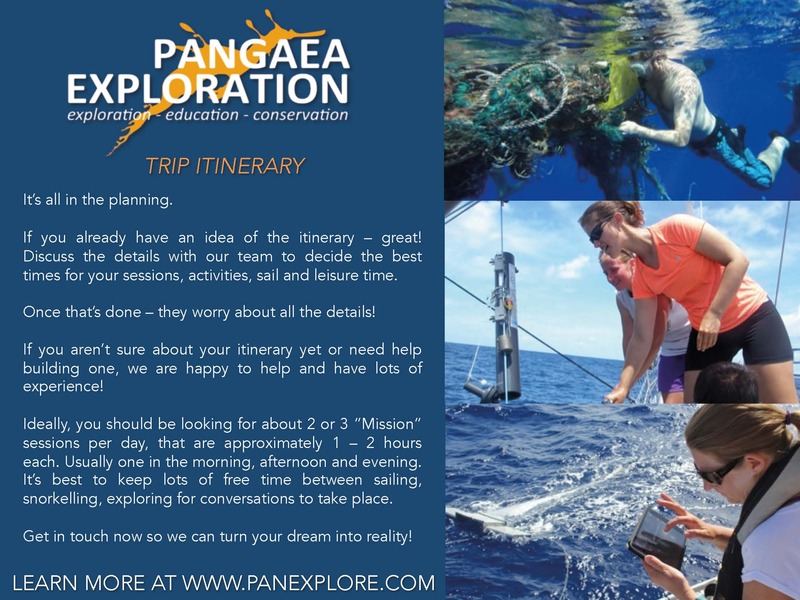 If you are unsure of an itinerary or need help building an itinerary, have a chat with us or our boat crew, we have a long history in organizing these trips, we can help. Ideally, you should be looking at about 2 or 3 ‘mission’ sessions per day. These should last approximately 1. 5 -2.0 hours each session, equally spread out during the day. One morning session, one afternoon and possibly one evening session, is a good base. It’s good to keep lots of chat time between sailing/snorkeling/exploring activities. It’s good to know what sessions you want to do and then play it by ear a little depending on the moment/ mood of the group.